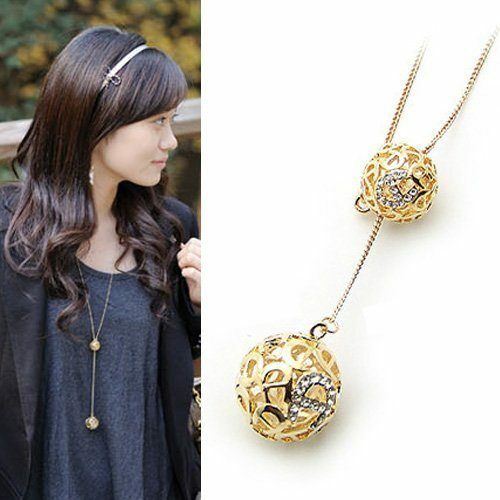 Double Hollow Ball Pendant Only $3.23 + FREE Shipping! You are here: Home / Great Deals / Amazon Deals / Double Hollow Ball Pendant Only $3.23 + FREE Shipping! Who’s up for a great jewelry deal?? Grab this really pretty Double Hollow Ball Pendant for just $3.23 + FREE shipping! I LOVE this one! It’s really pretty, simple, and the price is right! I’m totally grabbing one and maybe a few extra for my gift closet!